Some of Southern California’s top designers have been fortunate to travel the globe for design inspiration, from the Seychelles to Morocco, and their work reveals striking international influences. Their Westedge talk presented a tangible opportunity to be an armchair traveler and uncover the inspirational vistas of the world that translates into a high design experience. 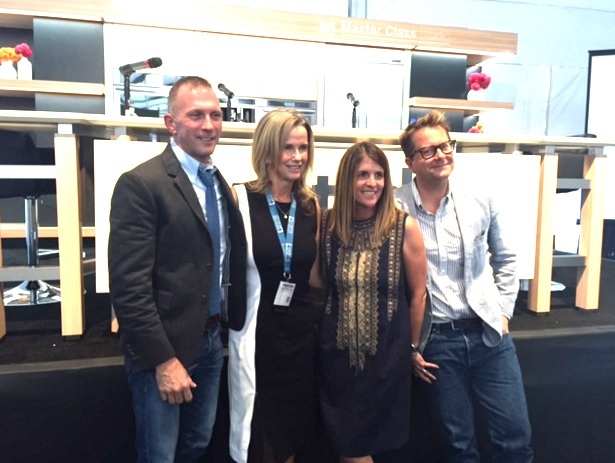 Pictured: (From L to R): Tim Campbell, principal designer at Studio Tim Campbell; Sue Firestone, founder and chairman of Smith/Firestone Associates, one of the world’s leading hotel designers; Andrea Stanford, design and interiors editor at C Magazine; and Nathan Turner, designer at Nathan Turner Design.